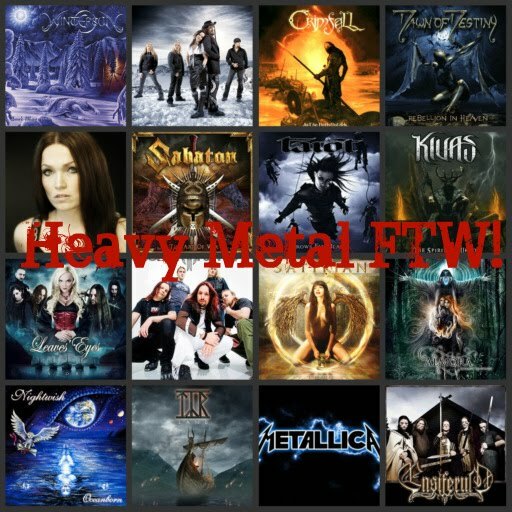 Heavy Metal FTW! 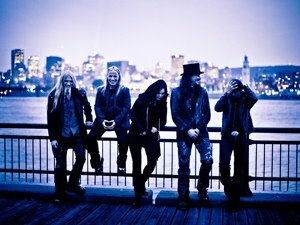 : Nightwish's "The Crow, The Owl and The Dove"
The second single from new album "Imaginaerum" is "The Crow, The Owl and The Dove". Marco composed the song and Tuomas described it as "Love is everything, and only Truth is our guide to a deeper state." Click here and enter Yövissy in the text box. Enjoy! Just in case you haven't heard the official samples yet, you can do so here. EDIT: for some of you, who can't wait to listen to "Imaginaerum", you can do so on RadioRock which will play the CD starting at midnight FINNISH TIME when the clock turns from Tuesday Nov 29 to Wednesday Nov 30 which is the official release day in Finland. I will add the link and other information as soon as possible. Please, don't forget to check time zones to work out the right time for your country. Yeah, this song is interesting. Different, and I can see why they chose that as a second single. Reminds me of "While Your Lips are Still Red" a little. edit: okay, I see where you got it from. The song link was posted on Nightwish's Wall of Facebook. I did not think the other songs were up either. BTW, what did you think of this song Lizzie? I found it on official forum. For some strange reason, NW's updates on Facebook don't show on my wall at all. This song actually reminds me more of "The Islander". When I heard it for the first time I was like meh why such simple song to use as next single? But then I listened to it, for like 10 times, and I really like it now. It isn't full of orchestra or heavy riffs, just nice ballad where for once Anette sounds really great. I think both Marco and Anette sound together great, actually. I too was a little mixed about it at first too, but with more listens, the better. Troy's singing part seems a little out of place in the song, but no it doesn't "kill" the song. I agree that Marco and Anette sound great together in this song, especially Anette during the verses. I love the atmosphere the song provides.. very tranquil like Tero said in this review on his blog. I like the fact that Nightwish can expand more than just being a typical metal band with typical ballads. This is a unique song and I think it is well composed even though it is simple. The thing is that people need to be open about this one because the majority people who want metal aren't going to care for this one, at least at first. It is all how you interpret this one. I really appreciate, they aren't afraid to "explore new waters" now. In my opinion, it's great that they don't stick to metal only and do just what they have been doing for last couple of years, just for the sakes of fans. Many of them are complaining that Nw isn't as great as lets say Oceanborn - Wishmaster era. But to be honest I don't think it is even possible. They are great at what they are doing nowadays and passing judgement after 2 songs and couple of samples is plain wrong. But to each his own. Anyway, I think this song is sort of "growing" one. You definitely must hear it more than once to find all that elements you're not able to catch after first listening. I tried to listen to the premiere of Storytime when it was on Finnish radio at 9am Helsinki time and missed it because I got confused about time zones. I think they're 10 hours ahead of Pacific time not 9. I'll have to figure this out before Tuesday night! Hopefully, my CD will ship on time, too. OK, that's 2pm Vancouver time, Tuesday afternoon! I'll try to be home!